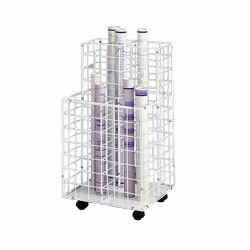 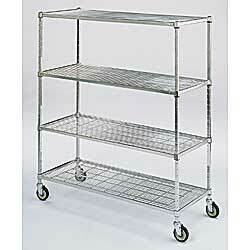 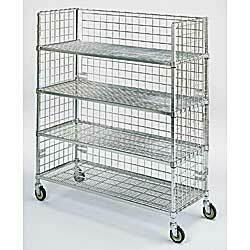 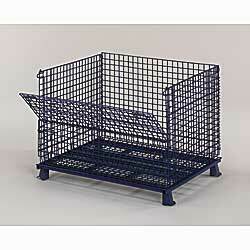 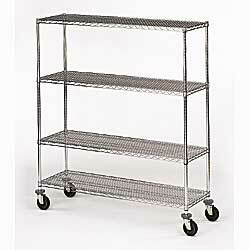 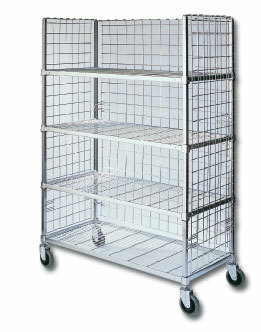 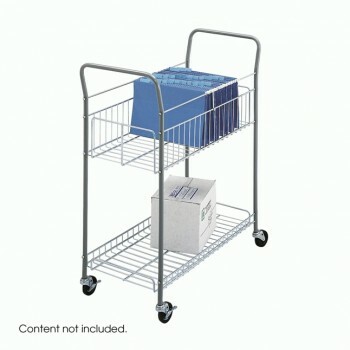 Find a great selection of wire carts at low prices at Material Handling Solutions. 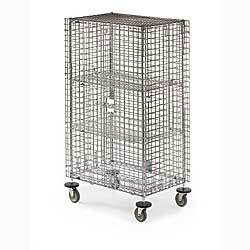 With 800 Lbs Capacity they can handlle a lot of weight. 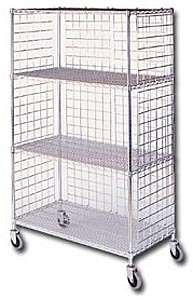 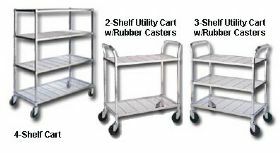 Our versatile and practical general purpose wire carts are perfect for use in the food service industry, healthcare settings, maintenance departments, and housekeeping areas. 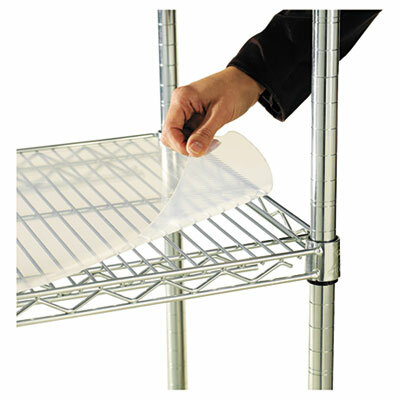 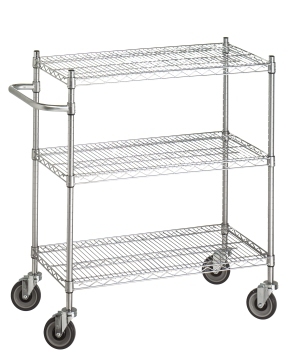 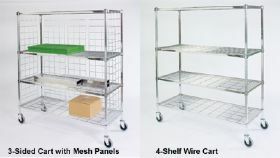 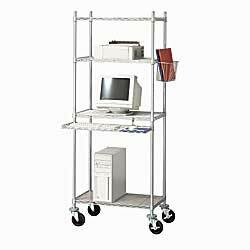 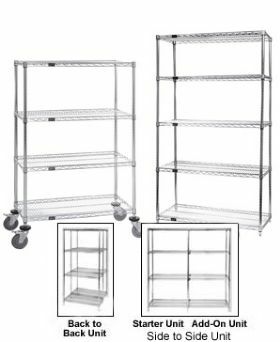 Our sturdy wire carts offer a safe and efficient way to transfer and store multiple products and the shiny chrome plated open wire design creates easy visual checks and better air circulation. 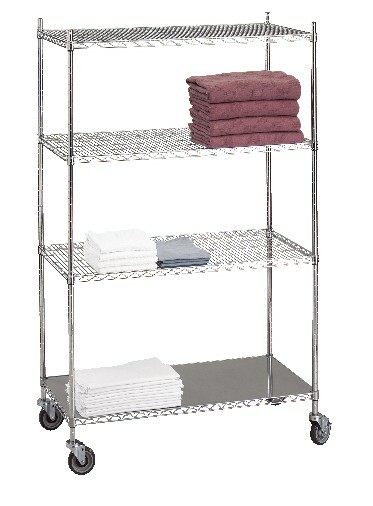 We carry all-purpose, linen, stock trucks, mail wire carts and more. 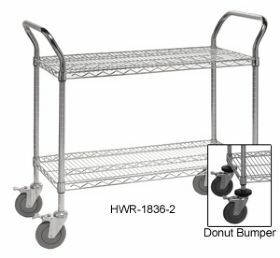 Some of the options we carry are: donut bumpers, removable baskets, 4-way access carts, rubber casters, polyurethane casters, shelf labels, additional shelves and solid top or bottom shelf options. 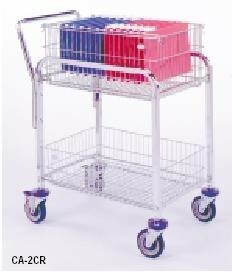 These carts are NSF.